Your X-COM saved game stuck because a lot of countries signed pact with the aliens? don't want to start all over again? here is your solution! 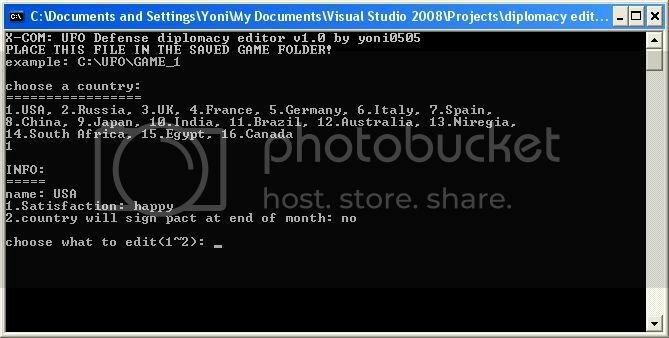 Another editor that I've made for X-COM: UFO Defense, diplomacy editor, its able to tell you the satisfaction rating of each country, and if the country will sign a pact at the end of the month, and you will able to edit those things! It's pretty simple, pretty small, but sure its useful!